Set up, operate, and scale a relational database in the cloud. While we initially started off running our own Postgres cluster, we evaluated RDS and found it to be an excellent fit for us. The failovers, manual scaling, replication, Postgres upgrades, and pretty much everything else has been super smooth and reliable. We'll probably need something a little more complex in the future, but RDS performs admirably for now. We use Amazon RDS as our failsafe database server system in various regions. Audit the RDS configurations for best practices and standards. 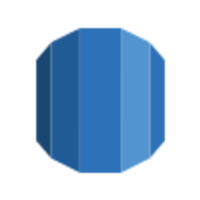 Our PostgreSQL servers, where we keep the bulk of Wirkn data, are hosted on the fantastically easy and reliable AWS RDS platform. We use AWS RDS to run our PostgreSQL databases.